For patients with missing teeth, dental implants are widely agreed to be a superior replacement solution. Combining a natural appearance with extreme durability for long-lasting results, only dental implants can enhance your smile while protecting your oral health. Explore our guide to learn more about this treatment. A dental implant is made up of three parts — a titanium implant fixture that’s placed in your jaw, a small connecting piece called an abutment, and your choice of restoration to complete the implant. Because of this unique structure, dental implants offer unrivaled stability and function. 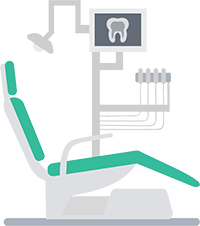 The implant process begins with a consultation where Dr. Grubb will examine your oral health. Next, you’ll return to our office so we can place your implant. You’ll have to allow a recovery period of three to six months, so your implant fixture can properly align with your jawbone. Once this is finished, we can top the implant with your choice of restoration, leaving you with a healthy and beautiful new smile. 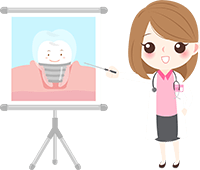 The key to dental implants is a process known as osseointegration, in which your implant fixture fuses with your jawbone to replace the root of a missing tooth. In order for osseointegration to succeed, you must have sufficient jawbone density and healthy gums. If you don’t, then supplemental treatments can usually prepare you for implant placement. If you’re interested in replacing missing teeth with dental implants, contact our practice in Havre de Grace and schedule a consultation with Dr. Grubb. He’ll listen to your smile goals and determine if dental implants are the best treatment solution for your smile.